Product prices and availability are accurate as of 2019-04-13 23:50:04 BST and are subject to change. Any price and availability information displayed on http://www.amazon.co.uk/ at the time of purchase will apply to the purchase of this product. 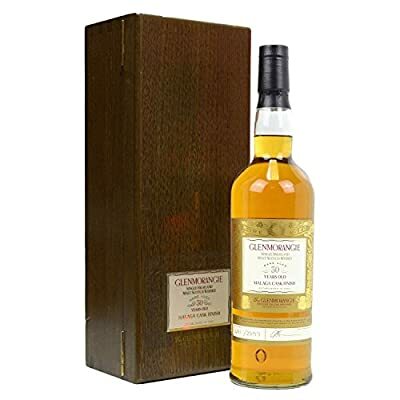 At 30 years of age this is probably one of the oldest Glenmorangies ever released, a full-bodied, sweet and fruity whisky showing unmistakable signs of long ageing in wood, plus the effect of additional finishing in casks that previously held sweet fortified wine from the Andalucian province of Malaga. This is a one-off limited edition small batch whisky, with just 2597 bottles released in 2006.